They're both led to the long-abandoned Hadleigh House, where Wren begins preparing the contents for auction but ends up appraising the story behind an antique sketchbook. As Wren uncovers the century-old tale of a World War I soldier and his angel, Death finds a set of truths that will change...or end...their lives. Wren Morgan, her boyfriend Death (pronounced Deeth) Bogart and his brother Randy are making their way to Hadleigh House, an old abandoned mansion that's just been handed to the Keystone and Sons auction house. Wren works for them and is going to catalogue and pack up everything for auction. But while they are wending their way to the house, Death tells Wren about a recent event: it seems an old man wearing a Civil War uniform was killed on their path, also known as the Vengeance Trail. He was drunk, riding a stolen horse, and the horse ran him into a low-hanging branch and he had been killed. Then Death tells Wren the 'creepy' part, which is the fact the uniform was saturated with formaldehyde and traces of human decomposition - which means the dead guy removed the uniform from a recently-deceased corpse. Not a pretty picture to Wren (or to anyone, I would imagine). Ice cream holds a special place in everyone's heart. Whether you're cooling off with a summer treat or dipping into its buttery comfort, you always have a good reason to enjoy a generous scoop of classic Strawberry or decadent Chocolate Malt! Today ice cream is becoming more innovative by the minute. And although exotic flavors, non-dairy options, and Italian-style gelatos are certainly interesting, sometimes you just want rich, creamy, custard-style ice cream. 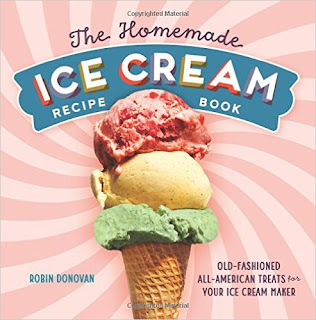 With The Homemade Ice Cream Recipe Book, making your favorite ice cream flavors at home has never been easier or more fun. With classic recipes like Rocky Road, Butter Pecan, and Key Lime Pie, you'll be able to make a special flavor for every ice cream lover in your life. Real homemade ice cream is perfectly simple, velvety smooth, and even sweeter than you remember. As a lover of ice cream, I wish I would have had this book at Christmas. It would have saved me a lot of time searching the stores for Eggnog and Candy Cane ice cream, since both recipes are in here, along with a delicious-sounding Gingerbread, which I will definitely be making. There are plenty of others that sound yummy, too - Mocha Fudge, Strawberry Shortcake, Pineapple and Strawberry-Banana. Then there are classic flavors like Butter Brickle, Mint Chip, Chocolate Chip and Vanilla. To top it off there are flavors for sherbet and frozen yogurt. But this book doesn't stop there: it has recipes for cones, toppings and even "Magic Shell". It's a delightful book with enough recipes to please everyone and well worth the price of purchasing an ice cream maker if you don't have one already. A killer heat wave settles over Seagull Lane...Summer's sizzling in Vista Beach, the home of computer programmer and tole-painting enthusiast Aurora (Rory) Anderson. The abnormally high temperatures are hard on everyone in the quiet Los Angeles county beach community, especially the city's homeless population. Residents are doing everything they can to stay cool, including leaving windows open to catch the faintest breeze. Not the best idea when a string of burglaries is plaguing nearby towns. Still, Rory doesn't expect to find her neighbor's body just a few doors down. When suspicion falls on a friend and fellow painter, Rory must discover the truth before the police paint the wrong picture and send her friend away permanently. Rory Anderson is a computer programmer and artist who works from home and lives in Vista Beach, California. Before heading out for the day with her friend Liz Dawson, she's gathered a trash bag of recycling for a homeless friend, Kit, so she and Liz head to the pier to find him. They don't immediately find him but do find his dog Buddy who leads them to an injured Kit under a pier. Discovering someone hit him over the head, he is sent to the hospital while Liz finds a temporary home for Buddy and Rory decides to try and find out who injured him. Luckily, her mother agrees to keep Kit's bicycle and belongings at her store, but when Rory arrives she finds another store owner arguing with her mother Arika. Willow Bingen is overbearing, opinionated, and makes some pointed remarks about the homeless before she finally leaves. Rory tells Arika the only information she has as to who injured Kit is the word "Zoe" and a picture she found in his backpack. Later that evening, Rory is at the home of Dawn, another friend who also works part time at Arika's store when she's not teaching painting. Rory and Dawn are testing a new software program for Dawn's online classes. While they're testing, someone arrives at Dawn's home and Rory can hear them arguing. It isn't long before she discovers the intruder is Willow; but after she leaves an upset Dawn refuses to speak of it. Also after leaving Dawn's home she finds out that Kit left the hospital but isn't able to locate him. The next day she finds Willow's cat Sekhmet's collar on her lawn - it turns out the cat has a regular habit of escaping the device - and goes to return it. When she arrives at Willow's home, the door is ajar and even though she senses something is off, she enters the home. What she finds is the body of Willow with a knife in her chest. So Rory has her hands full: trying to find Kit, wondering who killed Willow, and gearing up for a blind date that Liz has set up. If anything is going well for her, it's the date - she's met a doctor named Tripp Keating, and he wants to see her again. Of course, there is also the fact that Dawn is the main suspect in the murder of Willow and has asked for Rory's help in clearing her and finding the real killer. I found this book to be quite a pleasurable read. 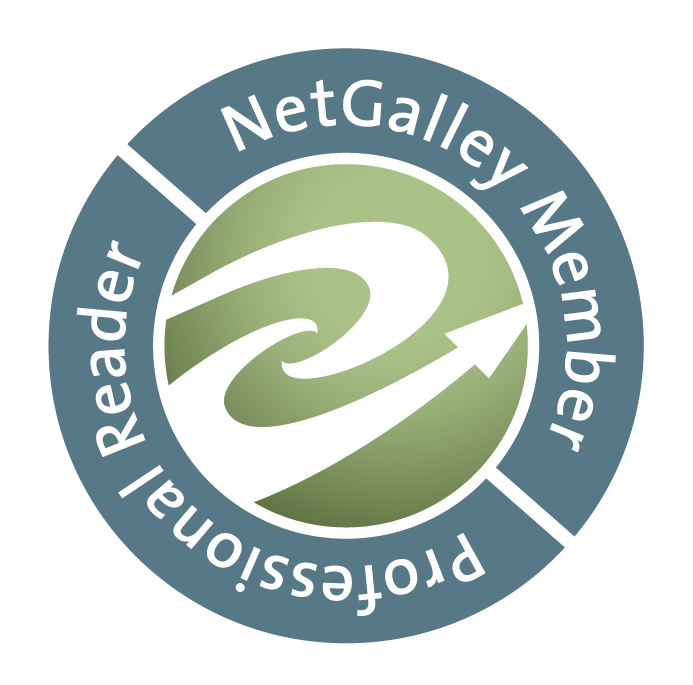 Ms. Johnson's characters have depth and warmth; the book is peopled throughout with characters that are three-dimensional and believable. You can sense the bond between Rory and her friends, and the fact that you know they truly care for each other just by their interaction together. There are moments of sadness (where I may or may not have shed a tear) that show us that when you have great loss you also have great pain, and it manifests itself in different ways. With plenty of twists and turns to keep the reader interested, and more than enough secrets to go around, we are taken on a journey that connects one event to another in an impressive fashion. When the murderer is finally discovered (as we know they must be) and the motives known, the ending gives us a feeling of satisfaction and a book well read. I look forward to the next in the series. Highly recommended. A Caribbean cruise is the perfect setting for a Roget wedding, and Faith meeting Ted's family. She also hopes the vacation gets their stalled romance moving, but it doesn't take long for that dream to capsize. Ted's daughter hates her. The ex-wife is adored. Odessa Roget is surly. And the banned father of a groom, John Roget, requests Faith's assistance in bringing down a jewel theft ring masterminded by his ex-wife. Having had a man she loved accuse her of a crime, Faith won't let Odessa travel down the same path and agrees to help. Faith sets her course on uncovering the true criminals - which might be a groom's best friend. The romantic week turns disastrous as a wedding is interrupted, suspicious deaths point to murders, and Ted's daughter schemes to reunite her parents. Instead of diamonds being a girl's best friend, Faith finds they're cruising toward Davy Jones' Locker. Faith Hunter is going on her very first cruise - a wedding cruise for her friend Bob Roget and his fiance′ Garrison as a member of their wedding party. She's also looking forward to spending time with her boyfriend Ted (Bob's brother) and meeting his daughter Claire. What she doesn't expect is what ensues: being practically pushed into her stateroom and a dress being forced on her by Quinn, a crew member who tells her she needs to try it on now; and when she retreats to the bathroom to do so, is startled by Ted and Bob's father John Roget, a retired FBI agent who says he needs her help. With an impatient Quinn outside yelling at her to hurry, and John trying to explain that there's jewel thieves on board and he needs her aid - because one of the suspects is Odessa - Faith barely has time to breathe. But thinking fast, she agrees, if only to prove Odessa isn't guilty. When Faith meets a shipboard performer named Ronnie who is Garrison's friend and also in the wedding party, she thinks she's found a fast friend, since it's apparent early on that Odessa dislikes her, Claire hates her, and Ted is being manipulated by them both leaving him little time for her. But a series of mishaps befall Faith in which one results in the strap of her dress being torn and a visit to Quinn is needed. When Ronnie takes her to the crew's quarters - which is taboo for shipboard guests - it isn't long before she realizes Quinn is drunk...and drops dead right in front of her. Masked to Death is the fifth book in the Faith Hunter Scrap This Mysteries, and in my opinion is the best of the lot. 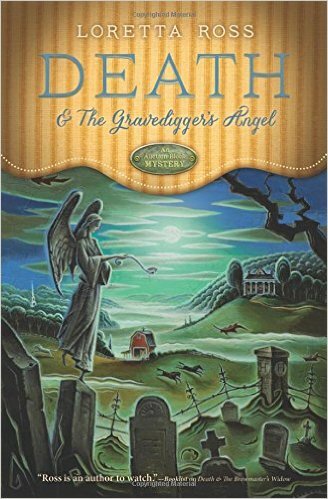 While the first four books were good, in this one Ms. Freeburn has honed her craft to the point where we truly care about Faith and want the best for her. It's quite a bit of fun watching Faith try to juggle her obligations to Bob and Garrison and still help John, albeit unwillingly, find a team of jewel thieves before he can pin the crime on Odessa - or at least that's what she thinks he wants to do. When the crew member dies, Faith isn't convinced it was an accident. When she discovers more than one person has an interest in a tiara she's supposed to wear for the wedding, and a diamond bracelet goes missing, the hunt for the thieves becomes personal. The plot is well done and interesting, proving things aren't always as they appear. When we finally come to the end of the book (too soon), it all knits together seamlessly and comes as quite a surprise, which is always a good thing. A true pleasure to read and I look forward to the next in the series. Highly recommended. 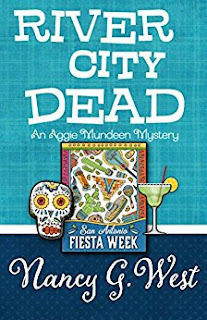 Advice columnist Aggie Mundeen and SAPD Detective Sam Vanderhoven plan their first rendezvous at a San Antonio River Walk hotel during Fiesta Week - sumptuous sights, sounds, and festivities in the middle of America's Venice. A vacation from crime and a reset for their tumultuous relationship. 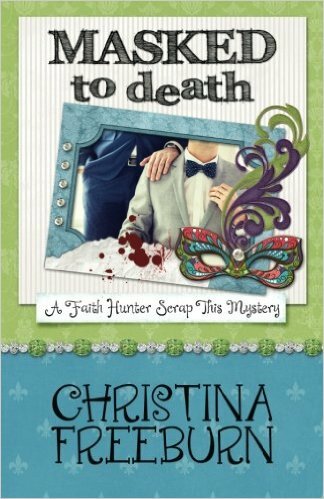 But murder descends on the Casa Prima Hotel. Disturbing revelations surface about the Fabulous Femmes, Aggie's new friends holding a convention. Evil emerges at parties in La Villita. Calamity plagues Aggie's debut dance performance at Arneson River Theater, the celebration is skewed by carousing, crazies and corpses. Even in idyllic River City, crime complicates relationships. Aggie Mundeen is planning her first rendezvous with the love of her life, SAPD Detective Sam Vanderhoven. He's gotten them a suite at a San Antonio River Walk hotel during Fiesta Week when everything will be festive, noisy and fun. The only problem is there's a dead body in the suite they were supposed to have, and there's not another one available in the entire city. So Aggie and Sam, who's involved in the case now, have to make do in separate cubbyholes until the case is solved. While Sam wants Aggie to go home, there's a problem: Aggie knew the dead woman, Monica - she was the ex-daughter-in-law of her friend and neighbor Grace, and she'd recently had lunch with her. In Aggie's mind, that makes her just as involved as Sam even if he doesn't think so. So when Aggie meets and befriends members of a dance troupe who are performing during the fiesta, she finds out they all knew the dead girl too, and she refuses to leave but tells him she'll stay out of his way and share any information she discovers with him. 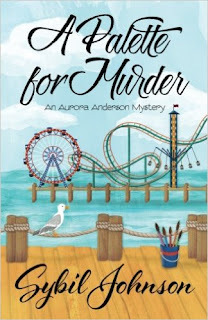 I loved this latest installment in the Aggie Mundeen Mysteries. In this book, the fourth in the series, she's less age-obsessed and more concerned with making things work between her and Sam. Unfortunately for her, it's a bit difficult when what started as a lovely weekend ends abruptly when one finds a dead body in their suite. Aggie is very good at asking questions without people becoming suspicious of her motives, and when she thinks someone just might be, she's smart enough to change the subject. She's also able to think quickly and come up with plans on the spur of the moment - as Aggie herself says, she's spontaneous; and that makes her likable and rather endearing to both Sam and readers. We are seeing Aggie slowly learning that in order to be trusted, you must first trust in return, and Sam, poor saintly man, deals with it admirably (although I think a lot of this comes from the fact that he's a homicide detective and he wouldn't be a very good one if he didn't have patience). When we finally find out the identity of the murderer it comes as a surprise, which it should be, and makes it an even more entertaining read than we would have thought. 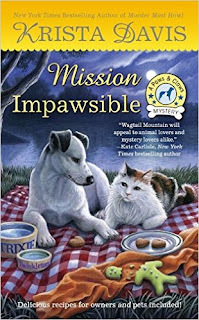 This latest installment is the best yet in my opinion, Aggie and Sam are perfect foils for each other (even if they don't quite yet realize it) and I look forward to the next in the series. Highly recommended. Holly and her grandmother, Oma, are working their tails off to prepare the Sugar Maple Inn for an upcoming matchmaking event for pet owners. While Holly has no interest ion pairing up, Oma plans on playing Cupid and finding someone to warm her reluctant granddaughter's heart. Unfortunately, one man Holly does meet is cold - dead cold - and he has a personal letter from Oma in his pocket. As suspicion is cast over the inn's guests, Holly - with the help of her furry friends, Trixie the Jack Russel and Twinkletoes the cat - must fetch the real killer, or she may soon have a date in court. Holly Miller co-owns the Sugar Maple Inn in Wagtail, Virginia along with her grandmother Oma. Right now they are preparing for an influx of people to a scheduled event called Animal Attraction. The reason for the event in pet-friendly Wagtail is to match pet owners with other pet owners by matching their animals. The organizer for the event, Macon Stotts, is a professional matchmaker with a good success rate, and he prides himself on that. However, the first night of the event Holly and Oma are confronted by a pretentious man who insists that there is no such thing as love and insists Macon is a fraud. They both take an instant like to the man who soon leaves. But things are about to become more interesting when Holly's employee Zelda's ex-husband Hank shows up looking for her, and Holly meets an engaging man named John Adele with an even more engaging yellow lab named Cooper. John thinks he's been matched with Holly, and even when she denies it he manages to get her to agree to go for a walk, so Holly, John and their pets (Cooper and Trixie, a Jack Russell) are having a nice night when Trixie suddenly runs off with Holly and John in hot pursuit. It is then they find the dead body of the disagreeable man from the inn. When it's later learned that he was to be a guest at the inn, Holly is puzzled - why would a man who hates animals and thinks love doesn't exist sign up in the first place? This book was a pure pleasure to read. It is indeed a lighthearted mystery, one that weaves together humorous animal antics with murder and intrigue. The setting is unique in that an entire town is pet-friendly, nestled in the mountains of Virginia, a true getaway for the animal lover within. The people are endearing characters - even Ben, who hasn't had a lot experience with animals but goes to great lengths to remedy the situation. I challenge anyone not to fall in love with at least one of the little buggers, delightfully described by Ms. Davis. She gives warmth to her characters, both human and animal, that make them believable and convincing. These are people one would enjoy spending time with on a lazy afternoon. When we come to the end, and discover the identity of the killer, it is a satisfying conclusion. While the clues aren't overt, they are there; and you discover that sometimes when you know someone you might not know them at all. 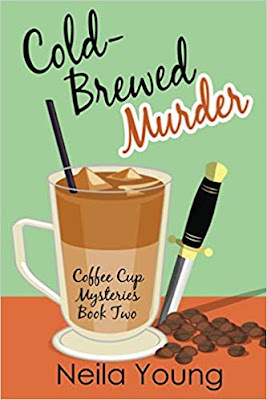 This is the fourth book in the Paws & Claws mysteries, and quite a welcome addition to the series. If you haven't read the first three, I suggest you do so soon and get to know Holly and her friends and family from the very beginning. You won't be disappointed. 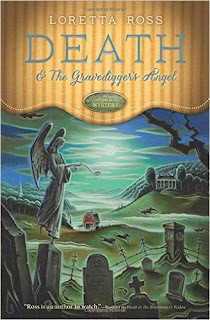 Ms. Davis has proven herself as a skilled storyteller, able to entwine several subplots together admirably, engaging the reader in the first pages and holding their attention throughout the book easily; filled with lovable characters and wonderful descriptions of a town anyone would like to visit time and again. Highly recommended.